ASDIP Structural Software releases regular updates to ASDIP STEEL (Version 3) structural engineering software. Utilize ASDIP STEEL software for the design of base plates / anchorage, steel columns, and steel / composite beams. Following are some features included in this version 3. This structural engineering software offers three levels of design results, such as At-a-glance, Condensed, and Detailed. 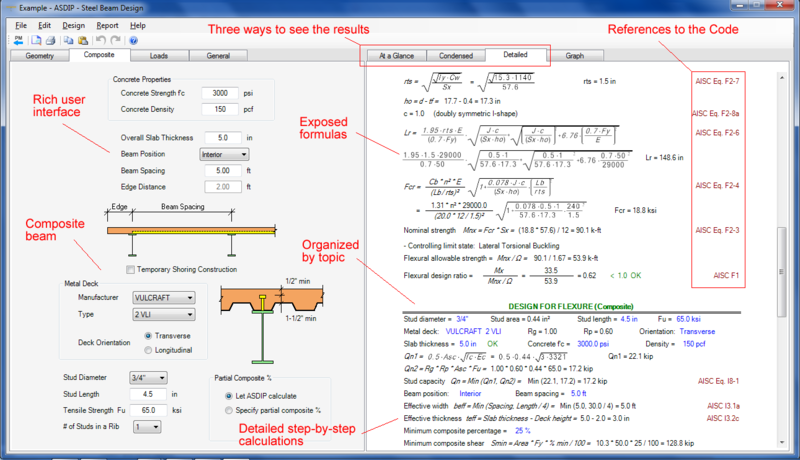 ASDIP STEEL 3 includes a Detailed tab showing step-by-step calculations organized by topic, with exposed formulas and references to the design Code. This structural engineering software offers graphic presentation of loads, pressures, forces, and diagrams. ASDIP STEEL 3 has a rich user interface consisting of dialog boxes, pull-down menus, tool bars, fill-in-the-blanks format and in-field editing. Steel design performed per either the ASD or LRFD methodology. 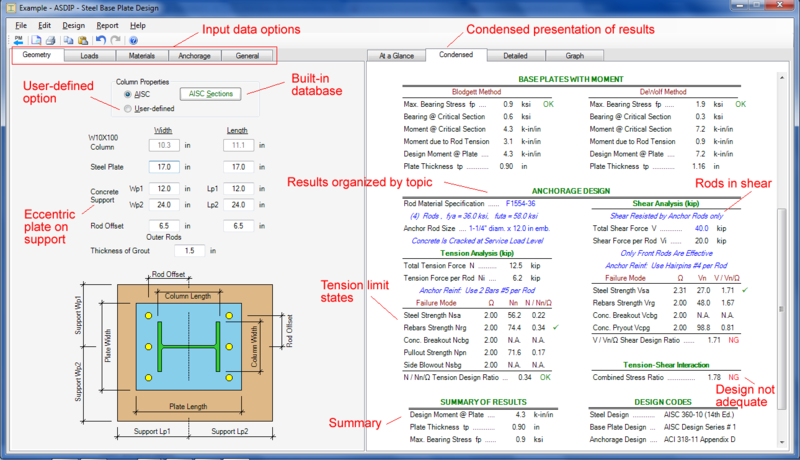 This structural engineering software offers a condensed presentation of results, organized by topic and load combination. ASDIP STEEL 3 has a built-in steel database including W, M, S, HP, C, MC, HSS, OHSS, Pipe, WT, MT, ST, L and 2L sections. 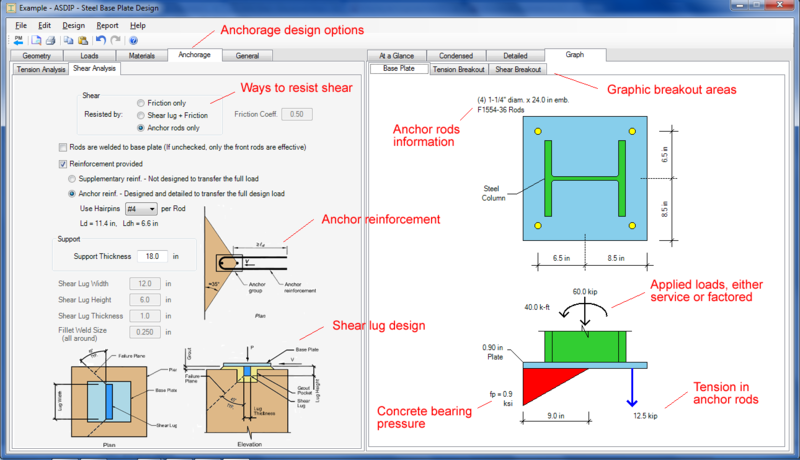 This structural engineering software includes the design of anchor rods and shear lugs. 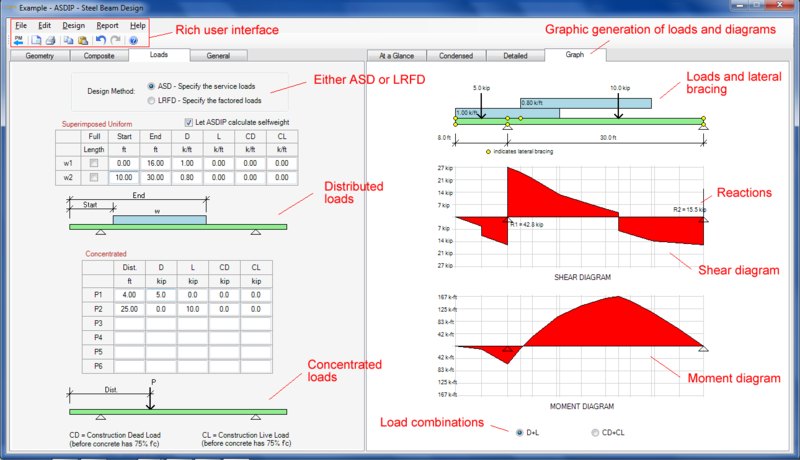 The software offers options to model the anchor reinforcement, and it calculates the base plate reactions. ASDIP STEEL 3 graphically generates the breakout areas in tension and shear. Javier, what is the cost of this update? Jose, the price of the upgrade from version 2 is $175. Our records indicate that you already have the version 3, so you don’t need to upgrade.